This is the place where Jourdan Cameron writes about books. 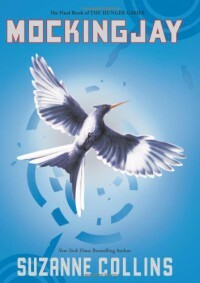 Mockingjay is a book that will reach through its pages, grab you by the throat and slap you for good measure. Of course, I mean this in the best possible way, but also as a warning to anybody who wants to read this book: it is extremely powerful. I must apologize now, because I'm afraid that I simply do not know what to say about this book. I'm totally speechless. It was... It was a masterfully composed novel, with powerfully conveyed messages against violence, a strong (but obviously not superhuman) protagonist who feels extremely real, and a cast of interesting and multifaceted characters. On account of my being so shocked (positively!) by the book, I'm suffering extreme difficulty writing this review.